In the midst of Communications Chaos, a single number is a very appealing solution for those who live busy lifestyles and that's where our UMP (Unified Messaging Platform) comes into play. Whilst for organisations looking for Intelligent routing - without the capital expenditure, Navigator does exactly that and more. UMP is a series of modules that can be configured to do virtually anything you want. For example, it can act like a personal assistant 24/7 365 days a year, wherever you are, handling incoming calls and providing a single source for retrieving your voice, fax and email messages. Get a free 0871 Fax2Email Number! Whether you're a single user or part of a corporate network, our range of Unified Communications (UC) soultions are quick and straightforward to implement. For either a one-off connection charge or small monthly subscription, your organisation would benefit from the features noted above. Setting your preferences and configuring your account is simply via the Web enabled user interface. When UC checks your email, it connects to your mail server using the Internet. The UC server does not store personal information such as the contents of an individual's mailbox or recordings of their voice; it simply maintains a connection with the mail server for the duration of the phone call. 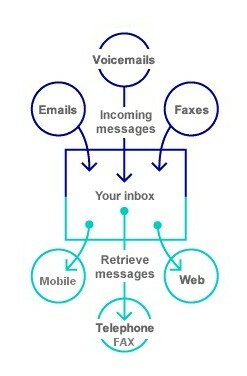 The security of your email information is paramount and security is maintained via firewalls and encrypted data. UC can handles all your incoming calls via a single 0870 phone number and collect messages of all formats in one inbox, an excellent way to streamlines your communications. Our UC solutions offer businesses all the benefits of the latest telecommunication technology, previously available only on the most advanced large scale systems - without the capital investment! Royal London has been undergoing substantial change in the last few years to attract new business customers and enable it to respond to existing customers' altering needs. Developing ways in which customers could access Royal London's services had become critical to the company's aim of becoming a significant force in the life, pension and savings market. With 1,135 Sales Reps and 38 offices nationwide, Royal London chose UC to streamline communications both internally and with members of the public. UC sequentially calls up a set of pre-configured numbers: the Reps mobile, one of 75 line managers or one of the 38 office locations, and is able to track down a Rep within thirty seconds. If the attempt is unsuccessful or the caller is dialling outside of working hours, then UC contacts the Royal London Insurance central call centre help desk. 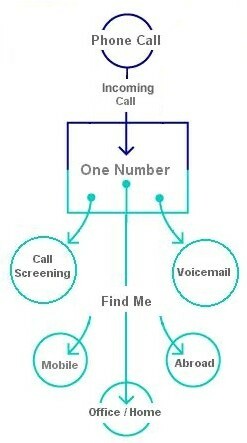 This reduces the amount of callers who hang-up on engaged lines or unanswered phones. This service also provides callers with the option to leave a voice message at any point. By outsourcing the call forwarding service, Royal London virtually eliminated the need to invest in an expensive bespoke Unified Communication System that would also need to be integrated with a number of mail servers and telephone systems. This option quickly proved to be both cost effective and efficient and avoids the otherwise huge call charges normally associated with diverting calls to or from a mobile. Imagine this: you are expecting an important call from a customer about a new contract, but you are out on the road. The customer has told you that he will let you know as soon as a decision has been made but does not expect to be contacted in the meantime. The customer has your email address, fax number and direct line phone number and might contact you using any of these tools. What do you do? Like most people you would only check email when in the office and continually phone up colleagues asking about any faxes that might have arrived while out of the office. At some point you would begin to worry that the all-important message had gone astray. Following the implementation of UC, Royal London's Sales Reps are able to respond quickly to customers who have left voicemail, sent faxes or email, as they are alerted by an SMS text notification. They have the option to retrieve and reply to voice, fax and email messages from their mobile phone or indeed any phone wherever and whenever it suits them. The inefficiencies highlighted by such a scenario are one reason why more and more companies are adopting Unified Communication Systems. Managing these messages can be otherwise confusing and time consuming whilst increasing the likelihood that some will be lost or simply not replied to. By providing a single source for accessing all message types, UC gives users complete control of their business communication and significantly reduces the time spent managing messages.